Norway’s Professor Roald Bahr recently highlighted that screening does not predict which athlete will sustain an injury.1 Some interpreted this to mean screening is useless for injury prevention. However, screening remains essential in our efforts to protect athletes’ health. To extend what has been a robust discussion, we argue how screening can be important for an individual athlete, and offer potential reasons why and how individual screening tests still lack clinical utility. Previous injury is a well-established injury risk factor. 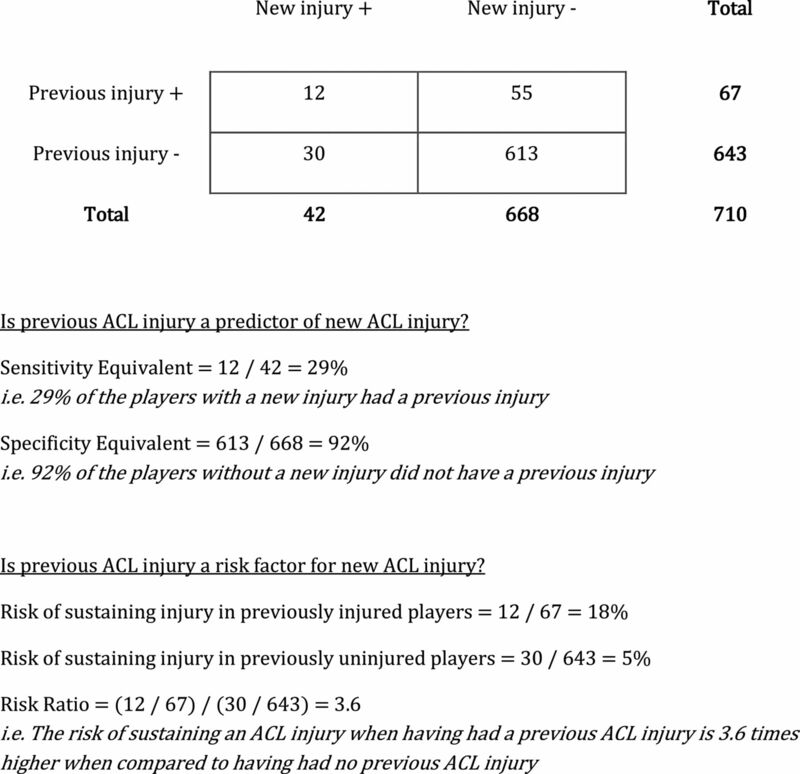 Figure 1 shows data on ACL (re)injuries from Krosshaug et al.2 Applying a traditional (predictive) diagnostic test on these data yields unimpressive results; a positive predictive value of only 29%, with most injuries occurring in previously uninjured athletes. If effective interventions target only previously injured athletes, it would be withheld from the majority of athletes who could benefit. Consequently, we agree with Bahr,1 that all athletes receive effective interventions. But consider another perspective on the same risk factor ‘previous injury’. Regardless of the low predictive value, previous injury is associated with a 3.6-fold reinjury risk. Does this mean we should give all athletes a knee injury prevention programme regardless of their individual injury histories? We know this does not usually happen in clinical practice. Diligent clinicians will perform a battery of tests based on the athlete’s injury history, and implement interventions customised to the athlete’s impairments and activity limitations. Such interventions are provided to previously injured athletes over and above any universal prevention efforts already in place for the entire team. Enter the prevention paradox, as first described by London epidemiologist Geoffrey Rose.3 The majority of injuries are sustained by athletes who are at low to moderate risk for injury—high-risk athletes sustain only a minority of injuries. The paradox is that a universal prevention approach in a low-risk population will in absolute terms benefit more athletes than a targeted approach in high-risk individuals. In sports medicine, we can use both approaches where appropriate, and for that we need to better understand the value and limitations of identifying injury risk through screening. Screening is a strategy to identify an unrecognised disease in individuals with or without symptoms.4 Analytical approaches towards screening are designed to establish if a test suggests or contradicts a particular diagnosis. In sports, the analogous context would be to determine if a screen confirms if an athlete is injured. However, the goal of injury prevention is to intervene before the injury occurs. This is a very different context. In risk factor screening, to facilitate appropriate decision-making and potential intervention, one is looking for individuals who possess exposures or traits that increase their likelihood of sustaining an injury. However, there are two limitations to paradigms commonly used in screening that are expected to show weak results even if the risk factors were truly associated with injury. These are (1) complexity and (2) temporality of injury risk factors. 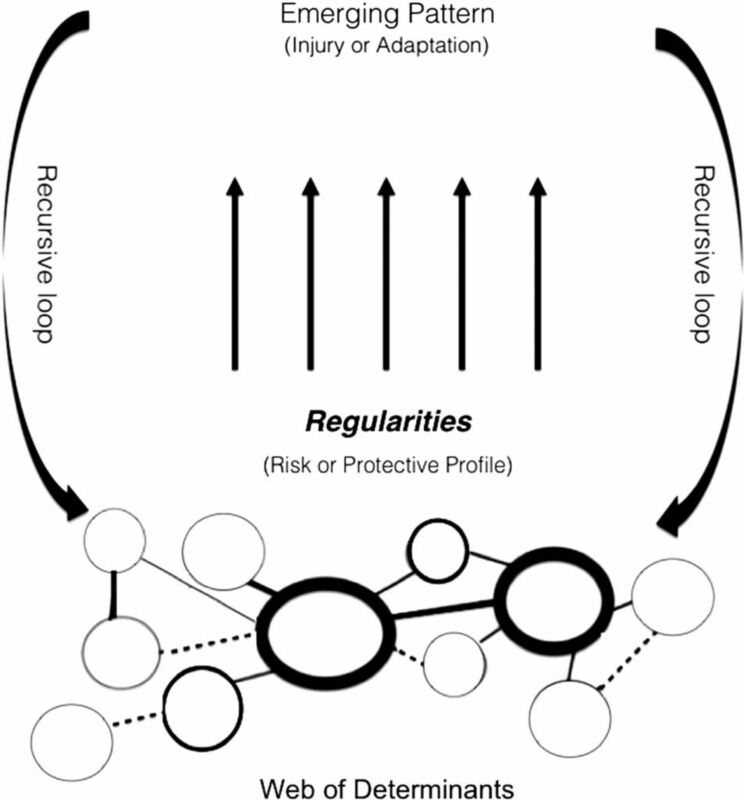 The latest iteration of Meeuwisse’s aetiological model touched upon the complexity of injury aetiology (figure 2).5 An injury occurs when different intrinsic and extrinsic injury risk factors interact with a timely injury mechanism. As such complex situations are unpredictable, and analytical strategies must reflect this reality or ‘screening’ will appear useless. Unfortunately, current strategies assume that individual risk factors can identify which athlete will encounter such complex situations by which any single risk factor will have ‘poor’ diagnostic test properties. The reasoning is similar to why single physical examination tests perform poorly. Swelling, for example, is not diagnostic as multiple different injuries can cause it. Nonetheless, a combination of physical examination tests remains useful when properly interpreted.6 Therefore, even though individual screening tests have seemingly limited value when analysed in isolation, they may provide meaningful information when interpreted in combination with other factors out of a physical examination. It is the responsibility of those advocating tests to perform the appropriate studies toidentify which combination of tests is useful in which context. Recent debate questions the effectiveness and efficiency of screening as part of the injury prevention process.1 We feel this instigated fruitful discussion, but we must develop a greater appreciation for the underlying complexity of injury prevention concepts. If we simply disregard the value of screening based on the findings of current studies with methodological limitations, we will be at risk of oversimplifying a complex problem. Instead, there is a need to continue to improve the methods we apply, to have a greater appreciation for the clinical context of the questions we aim to answer and to interpret the results accordingly.
. Oxford dictionary of english. USA: Oxford University Press, 2010. Contributors EV conceptualised the manuscript. All authors contributed in writing of the editorial.